Tooth enamel is composed of several minerals like hydroxyapatite, making it the hardest tissue in the body. It helps create beautiful white smiles and plays the most crucial role in protecting the teeth’s inner layers which are more sensitive by nature. Amelogenesis Imperfecta, also known as hereditary brown enamel or hereditary brown opalescent teeth or hereditary enamel dysplasia, is an inherited condition that disrupts the formation of the tooth enamel making it brown and brittle. It is caused by specific gene mutations that impede the normal process of the formation of enamel. Although its effects are commonly noticed in the oral cavity, this condition also affects other parts of the body in rare cases. An absence of enamel on teeth can put you at a higher risk for several dental complications. Let’s understand the basics about the condition and the treatment options available. Amelogenesis imperfecta is a hereditary or inherited defect that interrupts the process of formation of tooth enamel. This condition affects the enamel which is the outer most layer of the tooth and makes it very thin and fragile. The teeth look abnormal in color, texture, and shape. Though this condition is an inherited defect, it responds well to treatment and has a good prognosis. Amelogenesis imperfecta occur alone or as a part of a syndrome that affects other parts of the body. Most commonly the gene mutations are hereditary, i.e., they run in the family. But there are possibilities of occurrence of new gene alterations, even without a family history of the condition. A hypoplastic form of this condition produces an abnormally thin layer of enamel, but the hardness of the enamel remains the same. The teeth appear small due to the thin enamel and are often discolored, pitted and prone to fracture. What are the causes of Amelogenesis Imperfecta? Amelogenesis Imperfecta arises due to a congenital disability. In this condition, one or several of the genes is mutated. These mutated genes impede the production of vital substances, which help protect and preserve healthy teeth. Since it is a hereditary condition, the abnormal genes are inherited from either of the parents. Although the state is generally passed on within the family, it can also occur randomly. A diagnosis mainly depends on a patient’s family history and clinical examination. Patient’s family history is very crucial in this condition. A clinical examination evaluates the severity of the condition. Amelogenesis Imperfecta is diagnosed through x-rays, as well as other imaging studies, to assess the progression. A genetic screening test can be helpful to confirm that the disorder resulted from an abnormal gene. A healthcare provider may perform additional tests to rule out other clinical conditions to arrive at a definitive diagnosis. The treatment is based on the depth and severity of the damage that has developed in the teeth. If you notice that your child’s tooth hasn’t developed usually, talk to your dentist right away. A dental professional can easily diagnose this condition and work with you to discuss treatment options. When there is severe damage to the teeth, complete removal of the teeth and replacement by implants may be required. 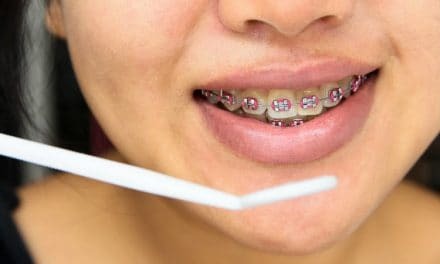 An orthodontist will evaluate and examine the condition of the teeth to restore and maintain the regular shape, check the alignment, and keep healthy teeth. Also read: Do You Know How to Strengthen Enamel? Amelogenesis Imperfecta is a hereditary condition that presents during early childhood. The condition can progress and continue into adulthood. Both the male and female are affected equally. This condition is prevalent worldwide. Amelogenesis Imperfecta is an inherited genetic disorder and thus has a positive family history. Children are at risk, if their parents, family members, or even close relatives have this disorder. A risk factor only increases one’s chances of being affected by this condition as compared to an individual without the risk factors. It is important to note that a new gene mutation can increase the chances of an individual to be affected by this condition. Hence, it is always important to discuss the effect of risk factors with your healthcare provider. Maintaining regular and proper oral hygiene can help stave off cavities and reduce ongoing tooth sensitivity in the interim. 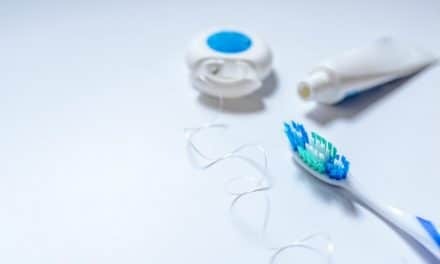 Flossing daily is a must, as well as regular dental check-ups and routine cleanings to remove any plaque and tartar build-up. A healthy diet which is low in sugars and rich in vitamins and minerals is beneficial. It will provide all the necessary nutrients that are required to strengthen the teeth. In general, certain necessary precautions, such as ensuring that all the teeth are completely sealed, and no cracks are present, are essential. With the help of your dentist, your family can be on its way to a beautiful smile and a healthy mouth for life. Always follow a good oral health care regime to keep your teeth clean and healthy.